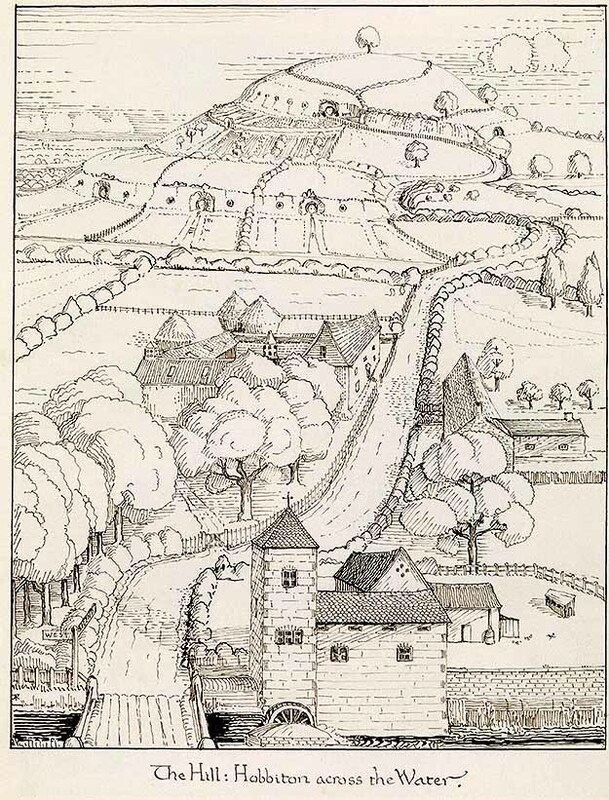 There’s lots of Tolkien’s own art here I’ve never seen like this line-drawing version of Hobbiton, just as interesting to me as the watercolor version he did for the book. Art intended for publication is only a small part of what’s here, many pieces were done for his own pleasure or to help him visualize a scene he was writing. Then there are pieces that are abstract or highly stylized, quite beautiful. 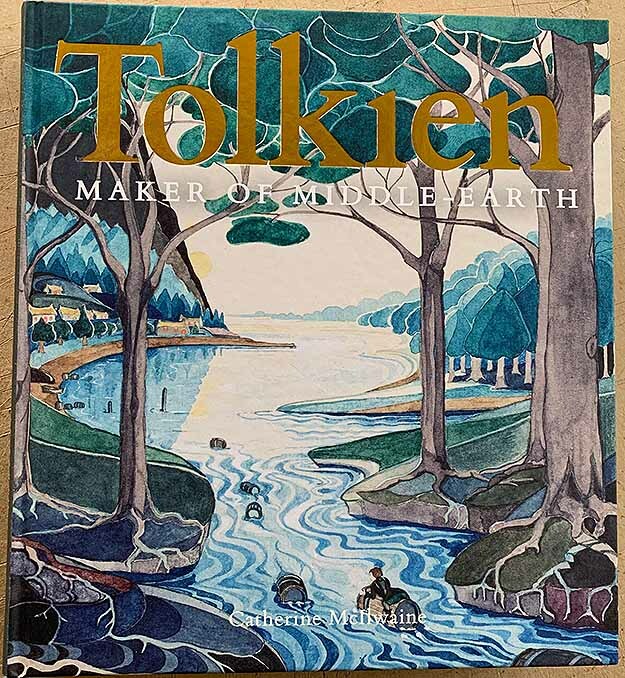 I was amused to read that Tolkien thought his own art was quite poor, and though he did well with natural scenes, he could never draw people. I have the same problem! 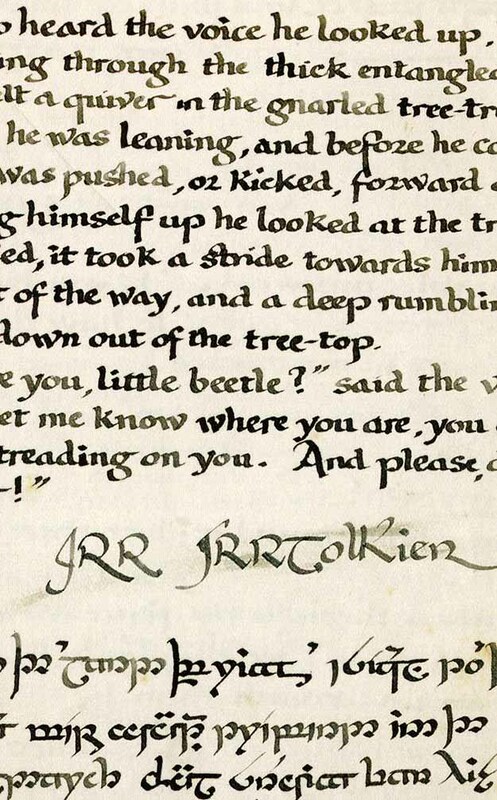 Tolkien’s calligraphy is something I have loved and studied since first finding his work, and there’s lots of it here, often pieces that are a combination of English and his own unique languages, like this one about Treebeard, an early version of the character who was going to be on the side of Sauron! 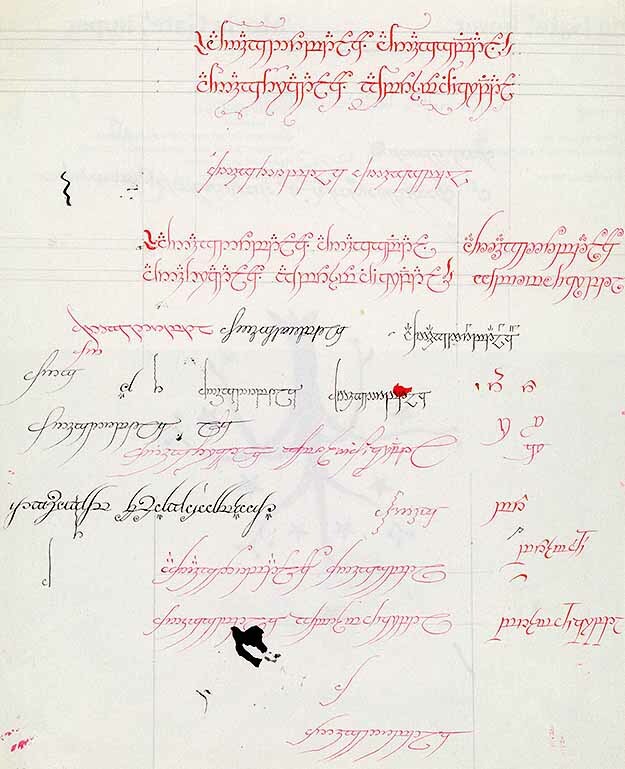 Perhaps my favorite example of his calligraphy is this practice page for the inscription inside the One Ring, in red and black ink, using a wide range of styles for Tolkien’s own languages. It just makes me want to try some, as I did in my youth! And then there are the Tolkien maps, not only the finished ones, but lots of earlier versions I’d never seen. 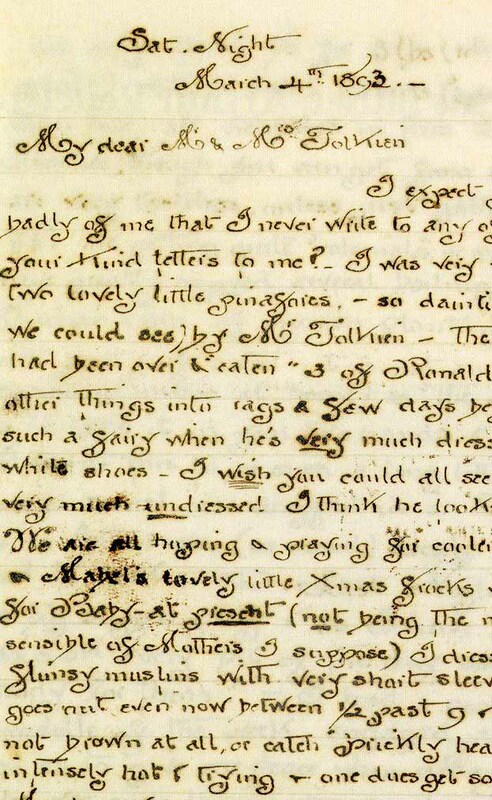 As he explained, Tolkien first created the languages of his imaginary world, then the maps and the stories. I love a book with a good map, and Tolkien’s are the best. I could go on, but there’s nothing else I need to say other than, an amazing book about an exhibition I will always remember with pleasure. It get’s my highest recommendation.